The Disney Store just released a great deal of new Brave merchandise onto shelves today. With this information we immediately rushed to our local Disney Store right after work. The items that we were most excited about were the three plush bears as well as the Angus plush. The Disney Store was full of everything Brave - from a Brave journal to Brave bear mugs, they had everything you could want. In this post we'll review the three plush bears as well as the Angus plush. Don't forget to check out our other Brave toy reviews. * SPOILER ALERT - Now I don't want to ruin anyone's Brave movie-going experience so if you do not want to hear about these toys, please stop reading. Here are the three plush bears. From left to right their names are "Hamish", "Hubert" and "Harris" - hmmm, those are the same names of those rambunctious triplet brothers of Merida. Once we saw them in person we had to purchase all three as...well, I couldn't just pick one. 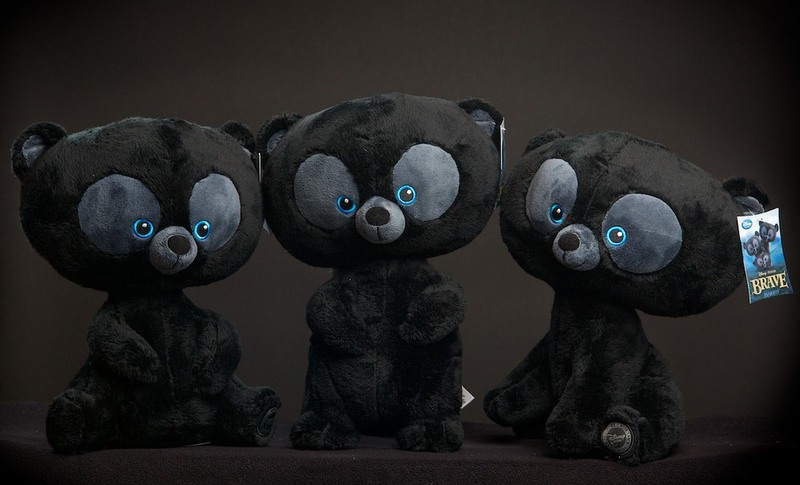 All three bears are soft and adorable - they almost resemble plush bobble heads. If you go to the DisneyStore.com you'll notice that these bears are named "Happy", "Hungry" and "Curious", which I find to be great as they obviously do not want to give away any of the storyline. The bears are 13 inches tall - with the exception of "Hubert" who stands 15 inches tall. The Angus plush is something that I had mentioned that I wanted in our other Brave toy review so I was really excited when we saw this on Disney Store shelf. Again, I couldn't pass him up - so we ended up bringing him home as well. 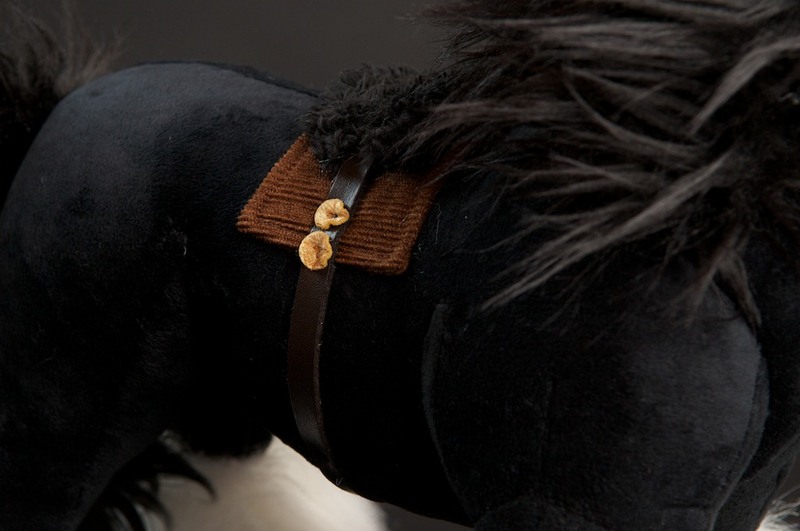 My favorite part of Angus was the detailing on his saddle. It's a faux leather strap with a wooly saddle and corduroy saddle pad and fabric buttons - I just love the details. 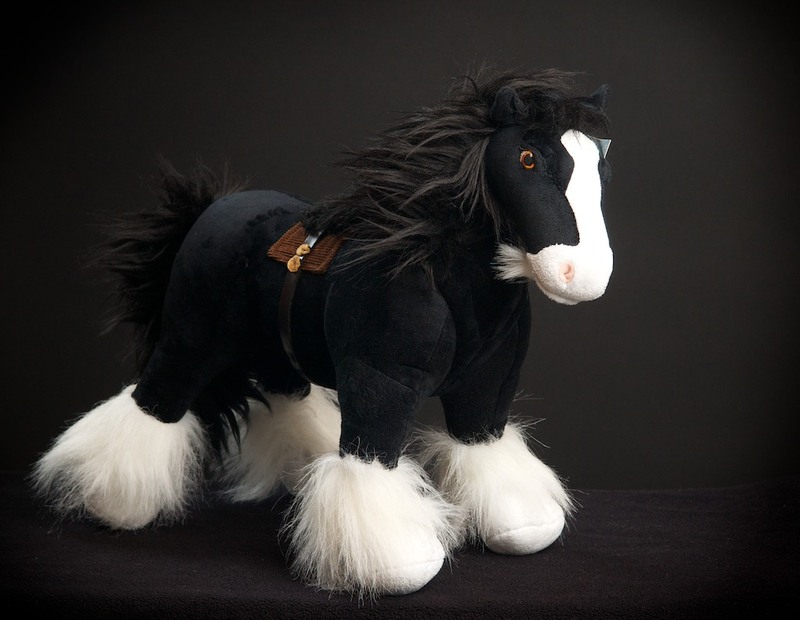 Angus stands 14 inches tall and is every well made. Do you have any Brave merchandise to share? Please tell us what you have purchased.